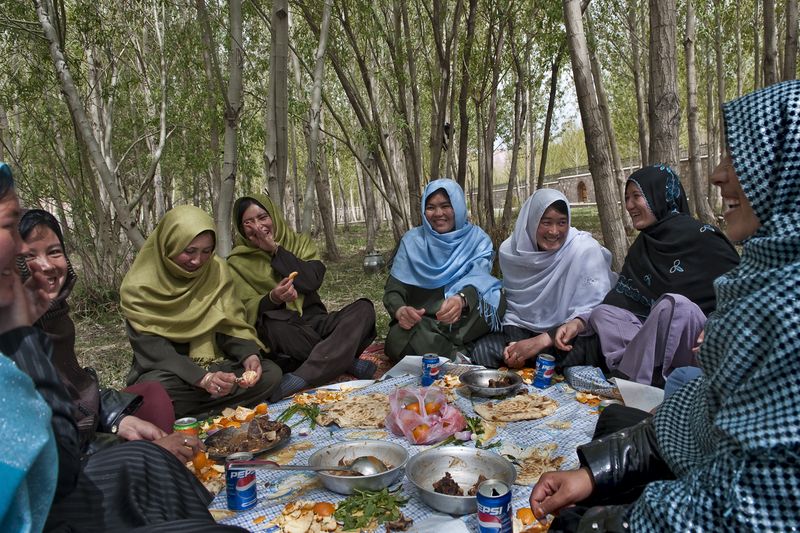 Young women, many of them studying to become teachers, relax in the Women's Garden of a park intended for families outside the city of Bamian. Established by the province's female governor, Habiba Sarabi, the garden provides a place for Afghan women to enjoy the outdoors. These picnickers gather for a typical Afghan feast of flatbread, goat, lamb, and fruit—with a hint of Western flavor in their choice of soda.